Friends watched as hundreds of people braved the frigid air temp of 25 degrees and wind speeds of 20 mph. Belmar beach was crowded for the event. 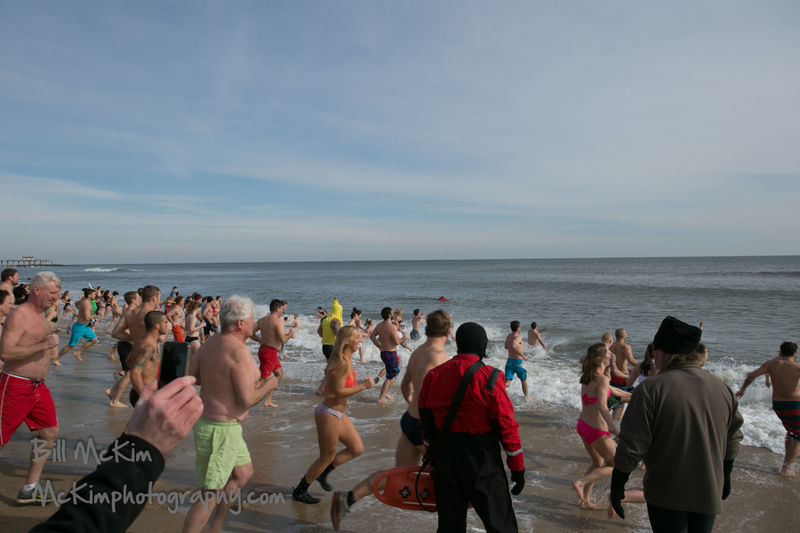 A well organized and safe Polar bear plunge and fun was had by all. “polar plunge” for Corrina Weinkofsky Sunday February 16 2014 . So happy that it is snowing and weather temperatures will be about 30•. Corrina is the St. Rosé Grammar School PE teacher, long time Belmar lifeguard, and a great family friend. Donations for Corrina and breast cancer can be made to: Lifeguard Regional Fund-Corrina. (Send donations to Councilman Brian Magovern 207 South Lake Drive, Belmar NJ 07719 and He will see that your donations get to the event directors. There is a Polar Bear Plunge for Corrina. Which will take place February 16th in Belmar, NJ. Corrina is a two time Around the Island Swim Champion and is the current head coach of Central Jersey Aquatic Club.